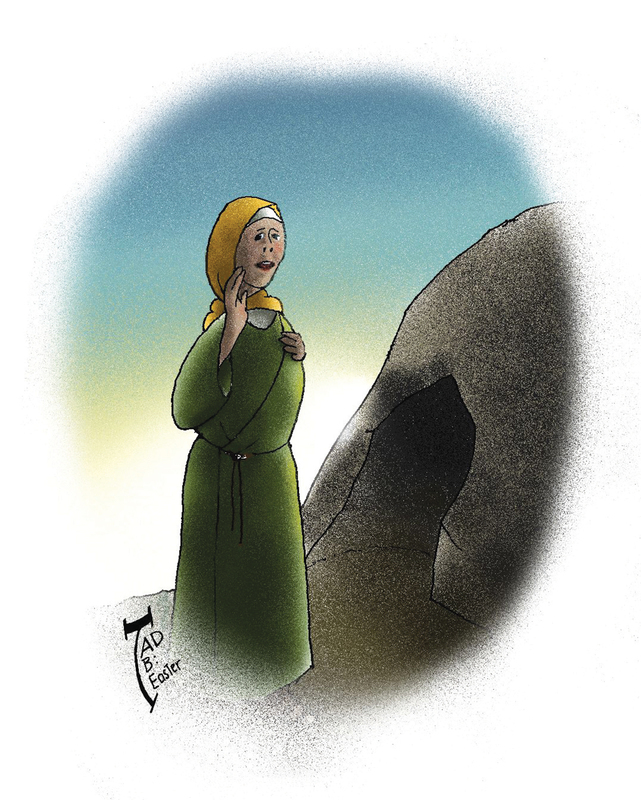 The account of Mary Magdalene as the first witness of the empty tomb was born of a powerful, consistent oral tradition among the earliest disciples. This is not the oral tradition of rote memorization, the sort that memorizes parables, prayers, teachings and laws, which was also part of first-century Judaism. This is autobiographical memory, in which stories of personal experience are passed on, often colored by the emotional interpretation of those who experienced the events, which shapes the details recalled in the passing on of the accounts. All of those present remember and recount that Mary was there first. The absence of the body does not necessarily mean that Jesus was raised. There are more ordinary explanations that come to mind: the disciples went to the wrong tomb and the body was somewhere else; they lied about the missing body; or someone stole the body and hid it. Yet if Jesus’ body had been available, it makes sense that those who opposed the teaching of Jesus’ resurrection would have found it, or produced it had they stolen it, to the derision and embarrassment of the disciples. If the body had indeed been taken by Jesus’ disciples or they had gone to the wrong tomb, the reality of Jesus’ body itself would have come to light and the location of his dead body would have put an end to the claims of resurrection. Indeed, his tomb might have become a pilgrimage site, a place of veneration of a great teacher and prophet killed by the Roman authorities. The beloved disciple alone initially recognizes the spiritual meaning of the empty tomb, but his understanding will soon be the foundation of the whole church, spurred by later encounters with the risen Lord. The resurrection of Jesus became the central message of the new community of disciples. The early Christians knew that “they put him to death by hanging him on a tree” and they knew where Jesus’ dead body was laid. When Mary Magdalene and the other disciples encountered the empty tomb, it became the first piece of evidence that “God raised him on the third day and allowed him to appear, not to all the people but to us who were chosen by God as witnesses.” Later, these witnesses would eat and drink “with him after he rose from the dead.” Only one last task remained: to bear witness that the empty tomb, the end of Jesus’ story, was just the beginning. This article also appeared in print, under the headline "An Empty Tomb," in the March 30, 2015 issue.